THURSDAY, April 5, 2018 (HealthDay News) -- Whether you want to lose weight, maintain your weight or just eat healthily, you need to know about protein. Protein in the foods you eat helps build and maintain your bones, muscles and skin. However, you need to consume protein every day because your body doesn't store it the same as it stores carbohydrates and fats. Most adults should eat 5 to 7 ounces of protein daily, according to the U.S. National Institutes of Health. Knowing the best sources of protein can boost your health as well as help you feel more satisfied on fewer calories. But, you need to choose carefully. Seafood is an excellent source of protein. Your options are many, with dozens of types of protein-rich fish and shellfish to try. Aim to eat a five-ounce serving at least twice every week. And, for even more benefits, try to include fish high in omega-3 fatty acids, such as salmon and trout. Omega-3s can help reduce risk factors for heart disease, such as cholesterol and blood pressure. Chicken and turkey are great protein foods, too. For the healthiest approach, remove the skin before eating. Keep in mind, too, that breast meat has less fat -- and therefore fewer calories -- than dark meat. Including particular vegetables on your menus will ensure you get even more protein. Try beans and peas -- kidney, pinto, black or white beans, split peas, chickpeas and hummus. Besides helping you feel full, they have a protein-fiber combo that helps with blood sugar. And don't forget eggs. For most people, one a day doesn't raise the risk for heart disease. And, since only the yolk contains saturated fat, egg whites are an unlimited option. As for red meat, it's often OK to eat it once a week or so. 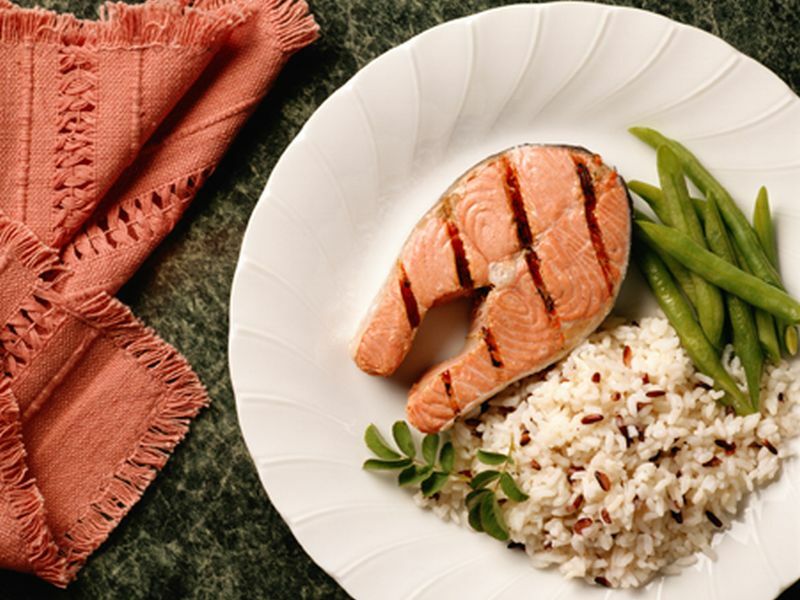 Just choose lean cuts and limit your portion size to 3 ounces. Trim off as much fat as you can before cooking, and pour off any melted fat before eating. Also use cooking methods, such as baking, broiling and grilling on a rack that allow fat to drain off. Protein provides a satisfying, filling, element to your diet. Just remember that a little goes a long way.